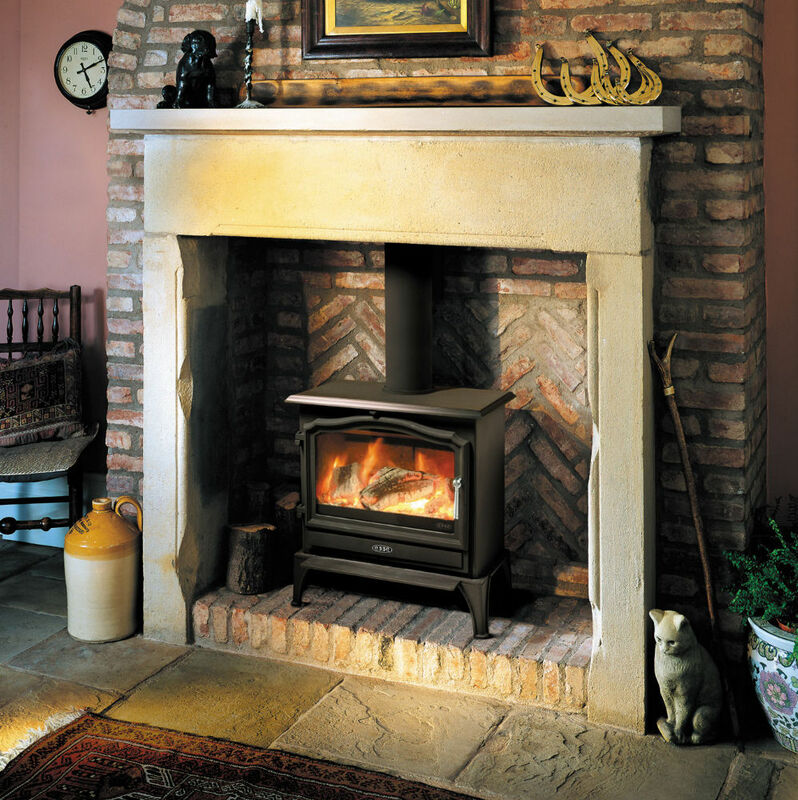 The Esse 100 is a 5 kilowatt multi fuel stove. It has 1 plain door with a big glass in it. The Esse 100 is tall and wide but relatively narrow so you get a very large glass window with a relatively low heat ouput. The Esse 100 is therefore a good choice of stove where you want a big window but not too much heat or where there is a restricted depth of hearth. The Esse 100 is made of steel and cast iron. 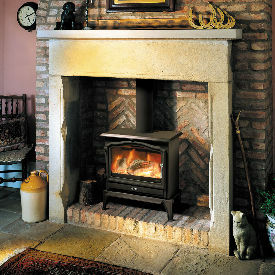 The Esse 100 SE version is approved for woodburning in smoke control areas. Stove expert replied: Graphite oil / spray is a good option for easing handles, it is readily available. Nice looking stove. A little disappointed though. Stove expert replied: Faults with any stoves should be reported initially to the supplier which in turn would be fed back to the manufacturer which in this case is Esse, if the supplier is not able to rectify the problem. Esse would then send out their Gas Engineer so this review seems strange when you say it has not worked in the time you have had it! Have you reported the problem, was any action taken by the supplier etc? Glass in stoves can crack at any point, it is something that is not covered by the manufacturers warranty and is not specific to this stove. Stove expert replied: Spares can be purchased on line and the manual has been sent to your email for guidance on removal of the baffle plate. As this has distorted in such a short time you are advised to get the installation checked as you may have an over-drawing flue that is subjecting the internal components to higher than normal working conditions. Stylish and feels like a tv not a stove!